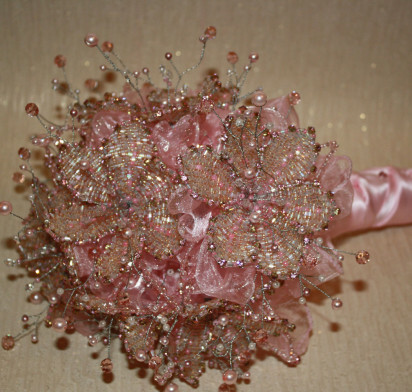 This gorgeous baby pink flower bouquet offers a wonderful alternative to your traditional wedding flower bouquet. 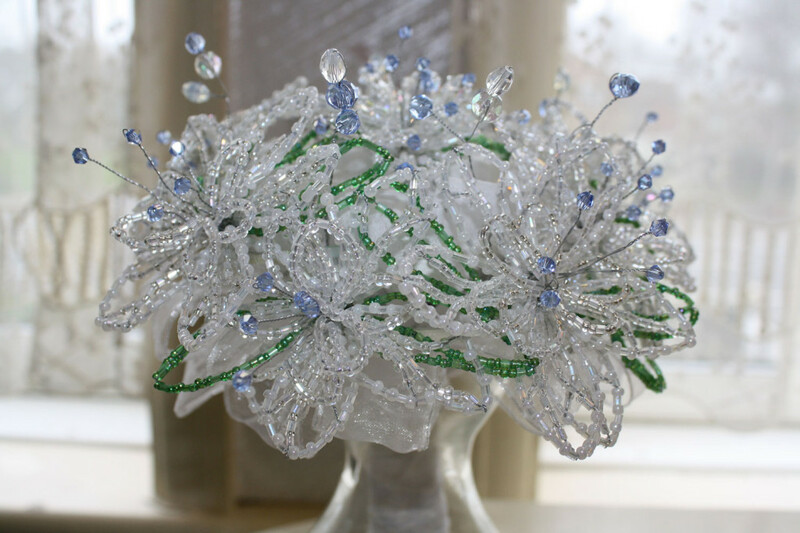 We have created these unique alternative flower bouquets for the bride who still loves the ideas of flowers but will have a lasting flower bouquet that can be cherished and displayed for as long as her memories. 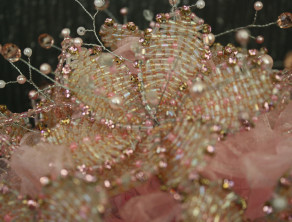 This particular bouquet is made up of over 8000 lovely iridescent seed beads. 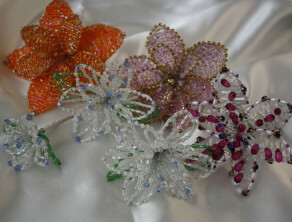 Each flower has been individually handmade incorporating high quality crystals into each flower and is truly a unique design. 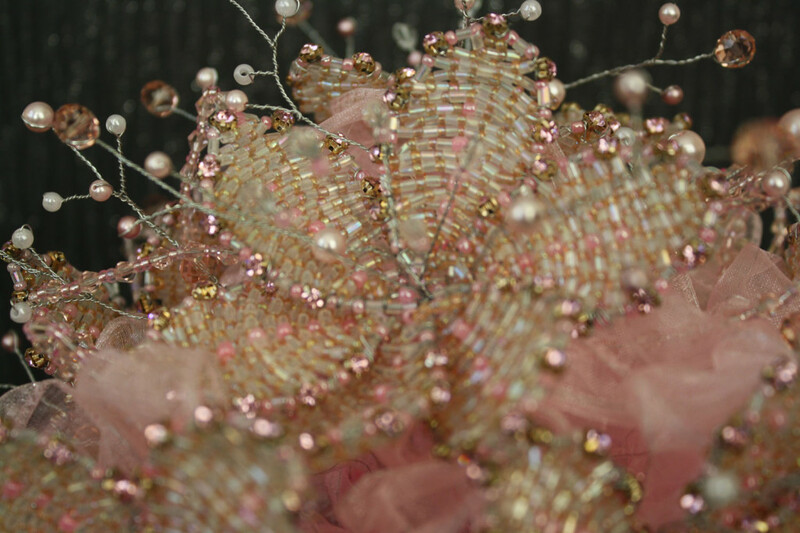 With over 400 pink crystals, beads, Swarovski crystals and pearls, fine satin and organza ribbon used, these alternative flower bouquets will be a magical addition to any brides day, a real WOW factor. 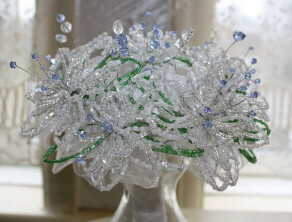 The price of this bouquet is £599 including P&P. 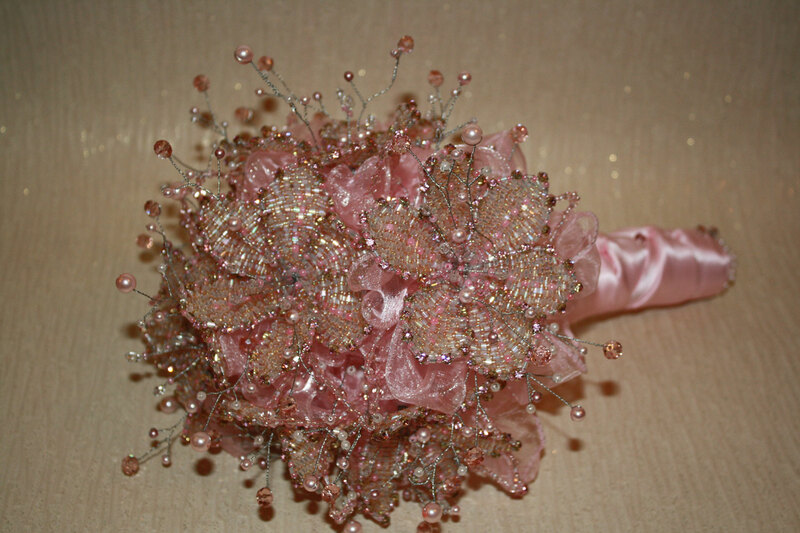 We can offer many alternative flower bouquets varying in design, size and price. 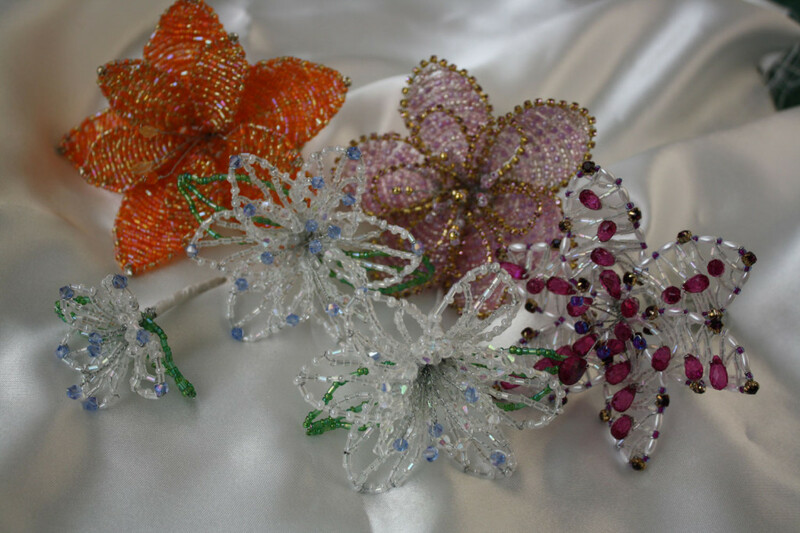 With almost as many colours, shapes and sizes available as traditional flowers we are only limited as our imagination allows us to create! !